This week, the Upper Egyptian city of Aswan celebrates both its national day and the 58-year anniversary of the start of construction on the famous Aswan High Dam. The dam, a rock-filled structure located at Egypt's southern border with Sudan, is fed by the River Nile, with its reservoir forming Lake Nasser. On 16 May 1964, Egypt announced it was diverting the Nile in conjunction with the end of the first stage of the dam's construction. This major event was announced in the presence of then-president Gamal Abdel-Nasser and Soviet premier Nikita Khrushchev. Construction on the High Dam began in 1960, and it was officially inaugurated in 1971 at a cost of $1 billion, much of which was provided by the USSR. The dam stores 160 billion cubic metres of water, and its reservoir stretches some 350km across southern Egypt and 150km into Sudan. 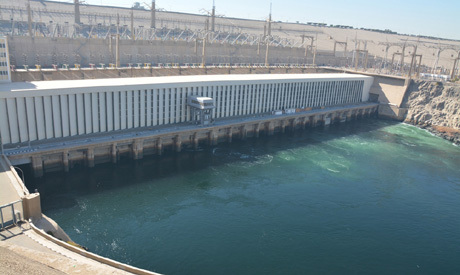 The Aswan High Dam was not the first dam to be built across the Nile at Aswan. In 1898, the British occupation authorities built a dam at roughly the same location. The dam, which was inaugurated in 1902, failed to effectively dam the river. This earlier dam, however, could not compare to the High Dam, which is 3,600 metres long, 980 metres wide at its base, 111 meters high, and 40 metres wide at the top. 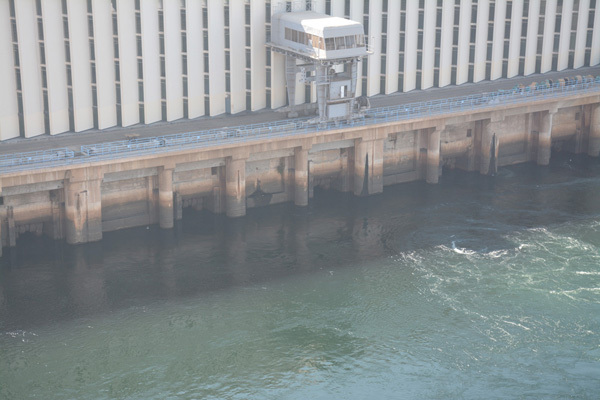 The body of the dam consists of 43 million cubic metres of concrete, iron and other building materials. 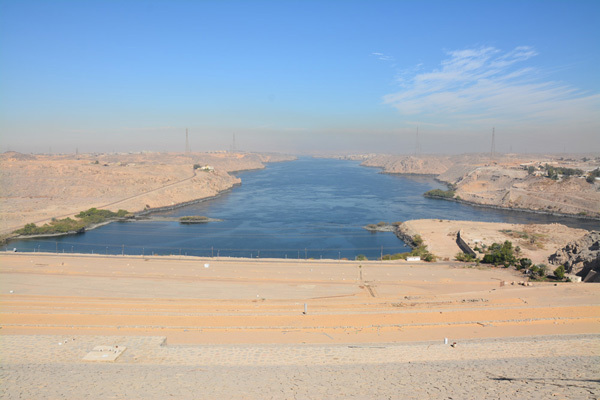 Since its construction, the High Dam has spared Egypt annual floods that had threatened to destroy the country’s agriculture. The dam also supplied the country with almost 70 billion cubic metres of water during several years of drought between 1979 and 1988. It has also increased the agricultural land to almost 1.5 million feddans due to the increased availability of water, while its power plant provides some 10 percent of Egypt’s electricity. The dam has not been all positive, however. The flooding of the Nile, which had been an annual occurrence in Egypt since time immemorial, would deposit a rich layer of fertile soil across the river’s flood plain, as well as wash away harmful salts into the Mediterranean Sea; a process that has been halted by the dam's presence. Aside from its utilitarian purpose, the massive dam also serves as a tourist attraction. 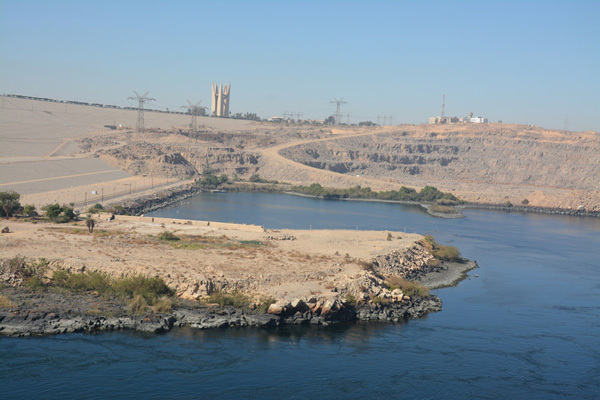 Abdallah says that a tour of the dam includes the dam itself, the nearby monument to Egyptian-Soviet friendship, a panorama of the High Dam that shows its electricity station, Lake Nasser, and the nearby temple of Kalabsha. Tickets for the dam and the friendship monument cost EGP 30 for foreigners and EGP 10 for Egyptians, while taking photos is free of charge. A tour that includes Kalabsha temple and Lake Nasser costs EGP 75 for foreigners and EGP 20 for Egyptians. 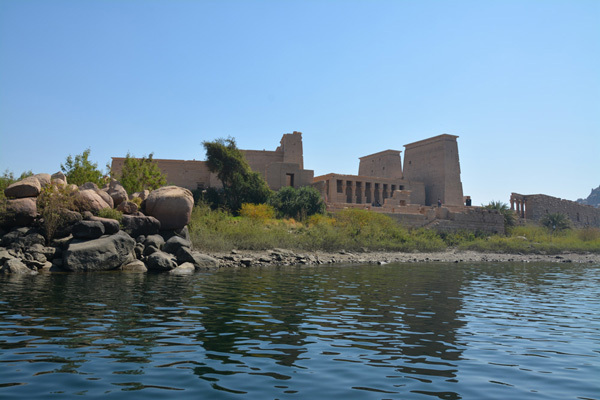 To reach the dam, one can either take a 90-minute Nile boat ride or a 45-minute bus ride from Aswan City. Egypt initially sought partial funding to build the High Dam from the World Bank, which imposed restrictions that Egypt found unacceptable. Egypt then sought funding from the UK and the US, who later withdrew their offer of funding for political reasons. The Soviet Union finally provided the required funds in 1958, and construction on the dam began in 1960. President Nasser also nationalised the Suez Canal in 1956 to contribute to funding the dam. 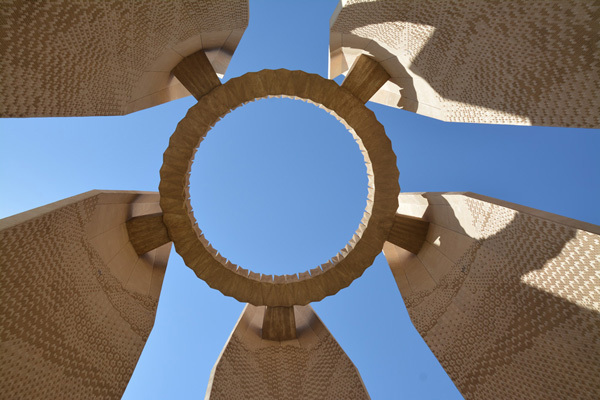 The 72-meter-high Egyptian-Soviet friendship monument, which was erected near the dam after construction was complete, takes the form of a five-leaved lotus flower; a symbol of ancient Egypt. When at the dam, one should consider visiting the nearby Abu Simbel temples on the western bank of Lake Nasser, about 230km southwest of Aswan. 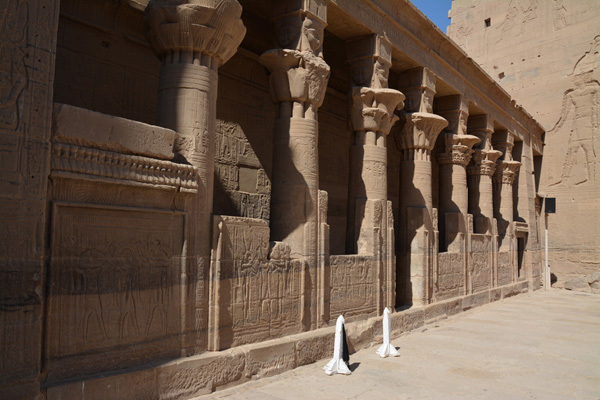 One can also visit Aswan's Kom Ombo temple, which was constructed during the Ptolemaic dynasty between 180 and 47 BC. Some additions to temple were made later during the Roman period. 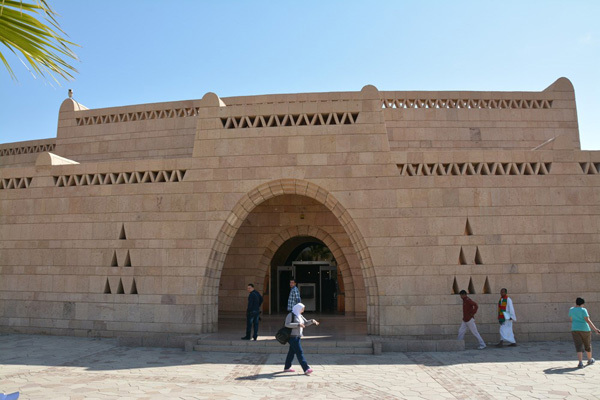 You can also visit the Nubian archaeological museum, which holds thousands of Egyptian antiquities from different eras, as well as showcases ancient methods of agriculture and Egyptian marriage traditions. Those who enjoy natural landscapes can visit the Aswan Botanical Island (Al-Nabatat Island), which is a small, oval-shaped island in the Nile that is less than one kilometre long and half a kilometre wide. For souvenirs, the old market in downtown Aswan offers Aswani cloth, spices, native drinks, peanuts, perfumes and Nubian products for a low price. There are many hotels along the Nile corniche, as well as restaurants with a Nile view that serve Egyptian and fast food. You can also book a Nile cruise to Luxor to visit more temples. The trip, which must be pre-booked, ranges from four to seven days. The trip explores the same route the pharaohs would have taken in their stately processions up the Nile from Luxor to Aswan, though the modern version of the trip includes internet and international phone services.